The piece to get you through this holiday season. 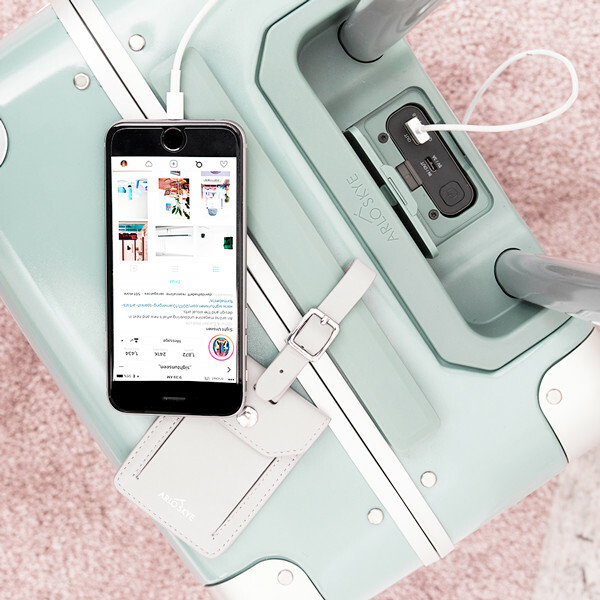 Imagine boarding a plane with the most perfectly packed, functional, and sleek travel companion. Liberating, right? As the holidays approach and our travel plans draw near, we've set our sights on that image and feel the urge to invest in the best (and most affordable) aforementioned suitcase. Sight Unseen, the online magazine that features notable, new designs, saw this one coming. 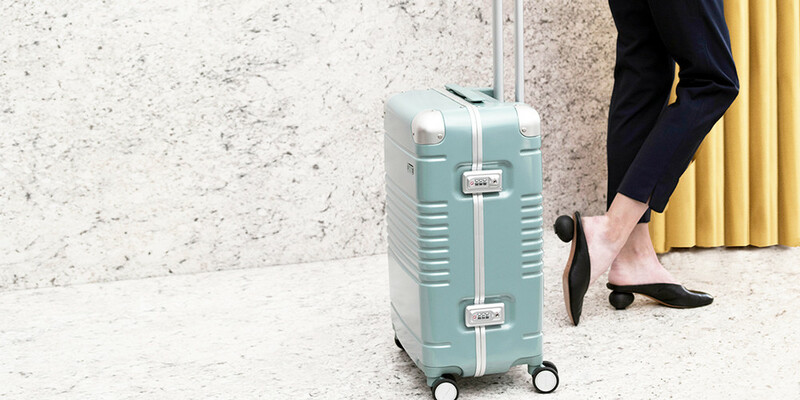 In a collaboration with Arlo Skye, the luggage company created by Louis Vuitton and Tumi alums, the online design resource released a limited-edition, lightweight polycarbonate suitcase. Available in two sizes, carry-on approved and a sizable check-in, the exclusive pieces include both purposeful design details and artful aspects. The suitcases were made in only one color, sage, which is the hue that Sight Unseen forecasts as the next big trend. The luggage line also features one-touch aluminum locks, for the sake of avoiding clothing catching and zipper jams, along with a printed interior lining by Finnish illustrator, Antti Kekki. In an official statement, Kekki described her vision for this piece, stating, “This print is inspired by Helsinki’s cobblestone streets and undiscovered pastry shops — and getting lost along the way,” The lining is also odor resistant, a small detail that makes a big difference. And it doesn't stop there. The suitcases’ charging ports can charge our laptop and phone simultaneously, answering all of our dead-phone prayers. Best of all, the four-wheeled design is made to silently roll across the airport, without any unnecessary clamor. To take part in this futuristic and incredibly good-looking creation, head to Arlo Skye's webpage, which features additional information and the option to preorder for December shipping. Something tells us this is not just the suitcase of the season, but one of the most well-designed travel trunks yet.